Pius Kampfen, a Julius Baer retired banker and resident of California, pled today to "an information charging him with willful failure to file the required reports of foreign bank accounts (FBAR) for a Swiss bank account he controlled." The DOJ press release is here. The charging information is here. Count of Conviction (by information and plea): FBAR Willful failure to file. FBAR Penalty: $1,465,393 (How calculated is not provided). Banks: UBS AG, Pictet & Cie, ABN-AMRO, Bank Vontobel and Baumann & Cie. (The quote in the opening paragraph indicates one bank account on the count of conviction; it is not clear which one of these relates to the count of conviction). Admits: Tax noncompliance on accounts and failure to file FBAR. JAT comment: Everyone watching the Swiss-U.S. spat knows that Julius Baer is a target of the U.S. angst over Swiss bank misbehavior. Apparently Mr. Kampfen has the characteristics that would get the IRS's and DOJ Tax's attention anyway. But the fact that he was a Julius Baer banker and perhaps even an enabler as well made likely him particularly attractive for the U.S. to send a signal to Switzerland. Prior to forming the firm, Kampfen spent 17 years as the Senior Representative for Julius Baer Group on the US West Coast, a Swiss bank specializing in private banking and global and international money management for high net worth individuals, foundations and private corporations. Prior to joining Julius Baer, he worked for over 20 years for other Swiss financial corporations, including Union Bank of Switzerland, where he served as a portfolio manager for international clients. These are some new articles. Enjoy! Stever Toscher and Della Bauserman, Suprise-The Tax Fraud of YOur Tax Preparer May Extend the Statute of Limitations on Tax Assessments, J. Tax Prac. & Proc. 31 (April-May 2013), here. The authors review the wreckage from Allen v. Commissioner, 128 T.C. 37 (2007). Although I have written about Allen before, this excerpt should remind readers. The issue in Allen was whether the taxpayer must have an intent to evade tax in order to keep the statute of limitations on assessment open indeﬁnitely under Code Sec. 6501(c)(1). The Tax Court concluded the statute of limitations would remain open if the tax preparer had the intent to evade tax. To state this conclusion another way, the Tax Court allowed the statute of limitations on assessment to remain open forever when the tax preparer has fraudulently ﬁled a tax return even if the innocent taxpayer was also defrauded by the tax preparer. This was a startling proposition—at least at ﬁrst blush—for most of us in the tax litigation ﬁeld. Josh Ungerman, What to Do When the Special Agent Arrives (Outline for speech at the Tax Alliance Conference 6/12/13), here. Josh offers some good insights on the initial surprise "interview" by Special Agents and then damage control after it occurs. Charles P. Rettig, IRS Offshore Voluntary Disclosure Program: Opt-Outs, a Revised FBAR and Rescissions of Pre-Clearance Letters by Criminal Investigation, J. Tax Prac. & Proc. 23 (April-May 2013), here. Chuck provides some timely information about developments in the offshore account area, including most prominently (i) summary observations on joining OVDP in the first place and then in opting out and (ii) lines of inquiry that might be asked by the agent on the opt out or an AUSAs or IRS agent assisting a grand jury investigation of enablers. Offense Description: knowingly and unlawfully embezzle, steal, purloin and knowingly convert to her use things of value of the United States, to wit: household items and food products purchased using a government purchase card belonging to the Internal Revenue Service. I am a Special Agent with the United States Treasury Inspector General for Tax Administration (TIGTA), Washington Field Division, New Carrollton, Maryland Post of Duty. I was also a Special Agent for The United States Department of Education Office of Inspector General: I have been a special agent for the past fifteen years. I attended Treasury Inspector General for Tax Administration Special Agent Basic Training at the Federal Law Enforcement Training Center. I have a Bachelor and Master Degrees in Criminal Justice. I am duly commissioned as a Special Agent, and I am authorized to conduct criminal and other investigations arising under the laws of the United States, regulations administered by the Department of the Treasury and the Internal Revenue Service (IRS), to carry firearms, to execute and serve search or arrest warrants, to make arrests without warrant, to serve subpoenas and summons, and to require and receive information relating to such laws and regulations. I have conducted and participated in numerous investigations of criminal violations involving the IRS, including fraud, theft, embezzlement, assault and threats and attempts to interfere with the administration of IRS laws. I have executed and participated in several search warrants and seized evidence relating to criminal activity. the National Taxpayer Advocate’s recommendation to expand the Streamlined Nonresident Filing Initiative to both U.S. residents and those owing more than $1,500, IRS officials publicly announced the IRS had eliminated the $1,500 threshold . Finally, in FY 2012 and FY 2013 YTD, TAS assisted 474 taxpayers with OVD-related problems and issued four taxpayer assistance orders (TAOs). In the three cases in which the IRS did not comply with the TAOs, the National Taxpayer Advocate elevated (or plans to elevate) them to the Operating Division Commissioner level or above. For an article discussing an Opt Out Strategy, with some assistance fro the TAO, see An OVDI Odyssey - an Opt Out Success Story (Federal Tax Crimes Blog 6/16/13), here. Two recent Second Circuit summary nonprecedential decisions involving criminal tax convictions have involved the immigration consequences of the convictions. In Evangelista v. United States, 2013 U.S. App. LEXIS 12436 (2d Cir. 2013), here, the Second Circuit, affirmed the denial of his writ for coram nobis to vacate the count of tax evasion which had subjected him to deportation. Among his claims was "counsel's ineffectiveness in failing to inform him of the immigration consequences of conviction after trial provide sound reasons for his delay in seeking the relief here at issue." In this regard, the Supreme Court had previously held that failure to advise of immigration consequences in considering a plea can be ineffective assistance of counsel. Similarly, even if Evangelista did not know the immigration consequences of his conviction at the time judgment was entered, but see INS v. St. Cyr, 533 U.S. 289, 322 (2001) (recognizing, as general matter, that "alien defendants considering whether to enter into a plea agreement are acutely aware of the immigration consequences of their convictions"), he would certainly have had such knowledge by April 14, 1998, when the Immigration and Naturalization Service issued a Notice To Appear, stating that Evangelista was subject to removal based on his conviction for an "aggravated felony" as defined in the Immigration and Naturalization Act. Evangelista v. Ashcroft, 359 F.3d 145, 148 (2d Cir. 2004). Thus, even if Evangelista's counsel failed to raise this issue on direct appeal, Evangelista presents no reason why he could not have pursued the matter in a petition pursuant to 28 U.S.C. § 2255 asserting ineffective assistance of counsel. See Massaro v. United States, 538 U.S. 500, 504 (2003) (holding that ineffective-assistance-of-counsel claims need not be brought on direct appeal). It is not clear to me what Evangelista's claim really was. Perhaps it was that, based on bad advice, he had turned down a plea deal that would have avoided the immigration consequences and had, after trial, been convicted of counts that had immigration consequences, but that is not clear to me. It is interesting to note that Evangelista's original criminal case is a key one I use in my Federal tax Crimes book to illustrate some key points regarding Section 7202 and prosecutor's improper comments. See United States v. Evangelista, 122 F.3d 112 (2d Cir. 1997), cert denied 118 S. Ct. 1048 (1998), here. A question I do have is why the Section 7202 and 18 USC 371 (Klein/defraud conspiracy) convictions would not have been sufficient for deportation. I am not an immigration lawyer and do not have the time or interest to chase that question down right now. This matter comes before the Court on Defendant Juergen Homann's motion for early termination of his probation pursuant to 18 U.S.C. § 3564(c). (Docket Entry 21) The United States of America (the "Government") has opposed the motion. (Docket Entry 23) The Court opts to rule on the instant motion without oral argument. The Court has considered the papers filed by the parties and will deny the motion. On September 25, 2009, Defendant pled guilty to a one-count information charging him with Willful Failure to File Report of Foreign and Financial Accounts, in violation of 31 U.S.C. §§ 5314 and 5322(a). Defendant's sentence included a five-year probation term, which Defendant now seeks to terminate because it makes his frequent business-related international travel inconvenient. The court, after considering the factors set forth in section 3553(a) to the extent that they are applicable, may, pursuant to the provisions of the Federal Rules of Criminal Procedure relating to the modification of probation, terminate a term of probation previously ordered and discharge the defendant at any time in the case of a misdemeanor or an infraction or at any time after the expiration of one year of probation in the case of a felony, if it is satisfied that such action is warranted by the conduct of the defendant and the interest of justice. Pursuant to the plea agreement, the court ordered restitution for the corporation's liability for the employment taxes in the amount of "the actual [employment] tax of $203,651.43 and the resulting interest." At this point, it is helpful to note the components of employment taxes that were the subject of restitution. Employment taxes consist of: (i) withholding income tax from the employees' wages and the employee's share of FICA and Medicare tax, also withheld from the employee's wages, referred to as the trust fund portion; and (ii) the employer's share of FICA and Medicare taxes, referred to as the nontrust fund portion. (In other words, the trust fund portion is the amounts withheld from employee for remission to the IRS for application against the employee's tax liabilities for income tax, FICA and Medicare tax. The restitution was for the corporation's employment tax without any differentiation between trust fund and nontrust fund portions. The IRS assessed the Section 6672 penalty, referred to as the trust fund recovery penalty ("TFRP"), against the defendant. As a result, the defendant obviously preferred that the restitution payments be applied first to the trust fund portion because that was the only portion of the corporation's employment tax liability that he was personally liable for. That was an issue in the case. Petitioner, without being placed in custody or receiving Miranda warnings, voluntarily answered some of a police officer’s questions about a murder, but fell silent when asked whether ballistics testing would match his shotgun to shell casings found at the scene of the crime. At petitioner’s murder trial in Texas state court, and over his objection, the prosecution used his failure to answer the question as evidence of guilt. He was convicted, and both the State Court of Appeals and Court of Criminal Appeals affirmed, rejecting his claim that the prosecution’s use of his silence in its case in chief violated the Fifth Amendment. JUSTICE ALITO , joined by THE CHIEF JUSTICE and JUSTICE KENNEDY, concluded that petitioner’s Fifth Amendment claim fails because he did not expressly invoke the privilege in response to the officer’s question. (a) To prevent the privilege against self-incrimination from shielding information not properly within its scope, a witness who desires the protection of the privilege . . . must claim it at the time he relies on it. This Court has recognized two exceptions to that requirement. First, a criminal defendant need not take the stand and assert the privilege at his own trial. Petitioner’s silence falls outside this exception because he had no comparable unqualified right not to speak during his police interview. Second, a witness’ failure to invoke the privilege against self-incrimination must be excused where governmental coercion makes his forfeiture of the privilege involuntary. Petitioner cannot benefit from this principle because it is undisputed that he agreed to accompany the officers to the station and was free to leave at any time. To the extent the Bankruptcy Court held that the criminal actions and proceedings exception allowed the United States to enforce a criminal fine or restitution order as against the debtor in bankruptcy (or his property) personally, the Court agrees. Where the Bankruptcy Court found public policy mandated the protection of property of the bankruptcy estate as against the United States government when continuing a criminal action, the Court believes the Bankruptcy Court struck the wrong balance. Section 3613(a) provides a clear congressional mandate: despite the operation of other law, the United States must be able to enforce criminal fines and restitution orders against the property of criminal defendants ordered to pay them. Congress, in enacting the Bankruptcy Code, noted that it did not intend the Bankruptcy Code to interfere with the swift and sure operation of justice. In light of these Congressional statements of public policy, the Court cannot agree with the Bankruptcy Court that public policy now demands it allow a criminal defendant, adjudged guilty in a competent court and ordered to pay restitution, to delay justice by taking refuge under the Bankruptcy Code. Because the Court finds Congress' plain language indicates it intended § 3613(a) to sweep aside the protections of the Bankruptcy Code, the Court determines the United States may enforce its restitution orders against Robinson's property, whether nominally held by Robinson or Robinson's bankruptcy estate. Therefore, the Court VACATES the portions of the Bankruptcy Court's Order inconsistent with this Order, and REMANDS this case to the Bankruptcy Court for further proceedings. Among the relief sought by the SEC was disgorgement of income tax avoided / evaded by certain offshore shenanigans, apparently within scope of the Senate Report, that were at the center of the alleged securities violations. The question presented in the opinion I discuss here is whether the SEC can sue for disgorgement of their tax savings. In an Opinion and Order dated June 6, 2013 ("June 6 Opinion"), I held, among other things, that the Securities and Exchange Commission's ("SEC") penalty claims against defendants in this case were time barred insofar as they accrued more than five years before tolling agreements with the SEC took effect. Therefore, for those claims against the Wylys that accrued prior to February 1, 2001, the only monetary relief available is disgorgement. For the Wylys' alleged failure to disclose their beneficial ownership of certain securities in SEC filings, the SEC contends that the measure of disgorgement is the amount of federal income taxes that the Wylys allegedly avoided by transferring stock options to the Offshore Corporations1 and failing to disclose their control over the options. The sole issue addressed in this Opinion is whether the SEC has the authority to seek disgorgement measured as the amount of federal income taxes it claims the Wylys would have been required to pay if they had disclosed their beneficial ownership of the securities in question, or whether such relief impermissibly impinges upon the Secretary of the Treasury's ("Secretary") exclusive authority to assess and collect taxes. In United States v. Bean, 2014 U.S. App. LEXIS 11810 (3d Cir. 2013), here [a nonprededential opinion, the defendant, an accountant, appealed his convictions for tax obstruction (§ 7212(a)), tax evasion (§ 7201), and failure to file (§ 7203). The actus rea occurred after he had become enthralled with one of the various trust schemes that many taxpayers fall prey to. 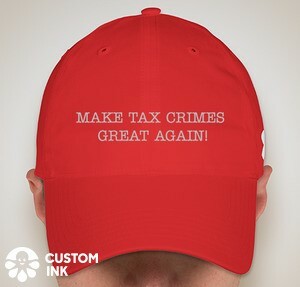 Taxpayers convince themselves that the tax evasion trust scheme will be sufficient at least to avoid a criminal prosecution because, they think, they really believe it works and therefore cannot act willfully. These criminal prosecutions establish that a jury will usually not believe that the taxpayers really believe that nonsense. On appeal, the defendant raised two interesting arguments that I address in this blog. He did raise a sufficiency of the evidence, but that is routine and not interesting as presented in the opinion. I write this blog primarily to students, since most practitioners will be familiar with the context and holdings of the court. We write principally for the parties, who are familiar with the factual context and legal history of this case. Therefore, we will set forth only those facts necessary to our analysis. So, the Court says it is giving us the facts necessary for the issues it decides, but there is undoubtedly nuance (e.g., helpful facts) not presented. Still for the issues I discuss, I think we have everything we need. With that caveat, let's go! Beam also challenges the government's comments during trial on his silence with respect to the IRS audits. Specifically, Beam asserts that "IRS Agents Thomas Kurtz and William Welsh testified that they called, sent letters and made appointments to meet with Troy Beam, but that he would never respond or show up for meetings," and that "[b]ecause Troy Beam had a right to remain silent, the Government's use of his silence against him violates the Fifth Amendment." Appellant's Br. at 20. Beam admits that this alleged error was not brought to the District Court's attention, and thus our review is for plain error. This Court may, in its discretion under Rule 52(b) of the Federal Rules of Criminal Procedure, correct an error not raised at trial where the appellant demonstrates that "(1) there is an error; (2) the error is clear or obvious, rather than subject to reasonable dispute; (3) the error affected the appellant's substantial rights, which in the ordinary case means it affected the outcome of the district court proceedings; and (4) the error seriously affects the fairness, integrity, or public reputation of judicial proceedings." United States v. Marcus, 130 S. Ct. 2159, 2164 (2010) (internal quotation marks omitted). A reader of this blog with whom I have corresponded during her journey through the maze of a couple of iterations of the ODVP/OVDI has offered to share her journey with other readers. She ultimately received a favorable outcome -- on opt out, a no FBAR penalty letter (Letter 3800). Her journey was tortuous. I think in part that was due to the design of the program that was a bit simplistic (still is in many respects) and both practitioners and the IRS had to deal with the nuances and uncertainties that had not been considered in designing the program. This resulted in long delays and twists and turns in her case -- also experienced by others in their respective situations. Ultimately, after a lot of grief and angst, this reader got assigned an agent to process the case within the program penalty structure and then for opt out. And the right result prevailed. This reader has offered a narrative of her journey and the key documents in the hope that other readers will find them useful and be encouraged that, at the end of their respective journeys which, hopefully, will have fewer twists and turns, they too will achieve a fair result. In the process, she hopes that others will not be frightened to opt out because of the mere remote possibility of hypothetical onerous penalties. Here are the links to her documents. The key document is the summary. It is extended (16 pages), but well worth the read. She presents the materials well. A summary (actually detailed) presentation of her journey, here. Her opt out letter, here. Her opt out reasonable cause arguments, here. A Streamlined Program acceptance letter, here. A spreadsheet with the Agent calculation of mitigated Level II Non-Willful Penalties, here. The request focuses on former Wegelin clients who were listed as beneficiaries of asset management companies between 2002 and 2012 and are suspected of fiscal fraud, according to the Neue Zürcher Zeitung newspaper on Friday. In criminal cases, lawyers need to be creative, always being careful not to go too far on the wild side in the arguments they make. I illustrate creativity to in a case raising an argument I have not seen before. The argument is perhaps on the wild side. As for the fourth element, willfulness, the defendant argues that (1) she was under no legal duty to prepare and present the returns truthfully and (2) even if she was under a legal duty, she did not prepare and present the false returns intentionally. The defendant's first argument focuses primarily on the applicability of a Treasury Department regulation commonly referred to as Circular 230, which contains duties and restrictions relating to practice before the IRS. Loving v. I.R.S., No. 12-385, 2013 U.S. Dist. LEXIS 7980, 2013 WL 204667, at *3 (D.D.C. Jan. 18, 2013). These regulations are published in the Code of Federal Regulations, Title 31, part 10 and reprinted under the name "Treasury Department Circular No. 230." Id. Before 2011, Circular 230 applied only to attorneys, CPAs, and other specified tax professionals (collectively, "practitioners"). Id. The defendant argues that Circular 230 did not apply to her when she prepared the false returns from 2008 through 2009 because at that time she was simply a return preparer and not a practitioner. Therefore, the defendant argues, according to IRS rules and regulations, she was under no legal duty to aid in the preparation and presentation to the IRS of tax returns that were not false as to any material matter. According to the indictment, the Sathres concealed assets by opening a foreign bank account in the Caribbean island of Nevis and by using purported trusts. In a ten-month period spanning 2005-2006, Mr. Sathre sent over $500,000 to the account in Nevis to keep the funds out of reach from the IRS. When Robert Sathre sold the Rock Stop in 2007, he had over $1,250,000 from the sale proceeds wired to the trust account of a Wyoming law firm. Later the Sathres directed the law firm to wire $900,000 from the trust account to their account at the Bank of Nevis. They also provided a false declaration and false promissory note to the Bank of Nevis to conceal the source of this transfer. Robert Sathre obtained a debit card linked to the foreign account to access funds locally. He also provided the Bank of Sheridan with an IRS form on which he falsely claimed that he was neither a citizen nor a resident of the United States. The indictment also alleges that the Sathres tried to conceal their ownership of real estate. They used a purported trust to encumber their residence at Troon Place in Sheridan and to conceal their ownership of property in Hennepin County in Minnesota. To conceal ownership of the Rock Stop, they similarly used a second purported trust, at one point resigning as trustees and appointing their teenage daughter as the trustee. The indictment also charges Judy Sathre with one count of filing a false tax return for 2007. The indictment alleges that the return was false both for reporting only $42 in interest income and for failing to disclose that she had a financial interest and signatory authority over the bank account at the Bank of Nevis. It is unclear why, with this fact pattern, the indictment would charge a single count. Of course, these offshore cases often ultimately plead to a single count. But, why would there not be additional tax perjury counts and/or FBAR counts pending the plea? Perhaps the plea bargain is wired into the original indictment, but that can usually be handled a different way. (a) 2004 – $723,762, assessed on June 21, 2011. (b) 2005 – $745,209, assessed on August 10, 2011. (c) 2006 – $772,838, assessed on August 10, 2011. (d) 2007 – $845,527 assessed on August 10, 2011. Many practitioners, myself included, have operated on the assumption that the worst FBAR violation cases would draw a civil penalty not exceeding the 50% high year, which is the penalty required in the criminal cases that have been prosecuted and convicted. Indeed, I have heard even one prominent Government official say that the delta between the then 25% OVDI in lieu of penalty and the "worst case" FBAR penalty was 25% (on similar reason would be 22 1/2% based on the 27 1/2% in lieu of penalty). At any rate, here is the civil suit that the IRS may exceed a single year willful penalty -- and not just exceed but substantially exceed -- ratcheting up to 4 years. On a static amount that should be reported on the FBAR (say $1,000,000 per year for six years), the maximum theoretical penalty would be $3,000,000, or 300%. In United States v. Davila, ___ U.S. ___, 2013 U.S. LEXIS 4541 (2013), a criminal tax case, here, decided yesterday, the defendant was charged with multiple counts of tax fraud and conspiracy. As is typical, the Government indicated a willingness to accept a plea for one count of conspiracy (referred to by the DOJ CTM as the major count) and dismiss the remaining counts. As I have noted before, achieving a dismissal of such remaining counts upon plea often achieves nothing practical for the defendant because of the operating of the Sentencing Guidelines, but the plea agreement itself can be rewarded under the Sentencing Guidelines by downward adjustment for Acceptance of Responsibility. The defendant finally did accept a plea, but not before he initially resisted and received some inappropriate advice to plead from the Magistrate Judge. Now, with that background, the defendant in Davila was unhappy with his attorney who, apparently with more facts in hand as to how the trial would play out, advised the Davila to accept the plea proffered by the prosecutor. Davila interpreted that recommendation as being a reflection of the fact that the attorney had no defensive strategy. That is probably a fair lay interpretation, but criminal defense lawyer would characterize the recommendation as a conclusion that the defendant almost certainly would be convicted. Davila's strategy then was to request new counsel. An ex parte hearing or meeting on that request was held with the U.S. Magistrate Judge. The prosecutor was not present (not clear why, but that was a no-no.). During the course of the hearing or meeting, the Magistrate Judge advised that defendant that he would not get another court-appointed attorney and that his best course, given the strength of the Government's case, was to accept the plea. Davila was not convinced. Time passed. Finally, he became convinced and pled with a full allocution saying that he was guilty of the crime to which he pled and that nothing had been promised him in return, etc., etc. Today I write on a nontax case because I focus on an issue that is presented in all criminal jury trials, tax criminal trials as well. I focus on the process and how objections can be preserved or lost intentionally or unintentionally. In United States v. Natale, 719 F.3d 719 (7th Cir. 2013), here, The defendant, a surgeon, was convicted of making false statements to Medicare. On appeal, the defendant objected to the jury instructions on the false statements counts. The counts involved in the instructions was for violation of 18 USC 1035, False statements relating to health care matters, here. That crime requires several elements that the Court of Appeals ultimately found not to have been adequately presented in the jury instructions. The Court of Appeals, however, affirmed the conviction because the error, in layman's terms, was not sufficient prejudicial to warrant reversal. I won't say anything more about the substance of the jury instructions and their deficiencies. Rather, I want to present here the Court of Appeals' discussion about the process courts undertake -- or should undertake -- to determine the jury instructions that will be given, counsel's role in that process and then a defendant's right to challenge, after conviction, the instructions that were given. This process applies in all criminal cases including tax cases. Accordingly, this information from the case will be useful to students and new practitioners. Natale's primary challenge to his conviction focuses on the jury instructions that the trial judge issued on the false statement counts. The government responds that Natale has waived any challenge to these instructions because he affirmatively approved of them at the jury instruction conference. Moving through the proposed instructions one by one, the district court asked, "[Proposed Instruction] No. 29 is making false statements instruction out of 18 United States Code, Section 1001, and 18 United States Code, Section 1035. Any problem with that?" Defense counsel's response: "No." Counsel engaged in a similar question-and-answer colloquy regarding the remainder of the instructions on the false statements counts, with the trial court asking counsel if he "had any problem with" each proposed instruction. Each time, counsel affirmatively expressed having no problem with the proposed instruction. The government now suggests that the defense attorney's comments during this exchange affirmatively approved the jury instruction, resulting in waiver. Ordinarily, when a defendant does not object to a jury instruction before the jury retires to deliberate, the defendant may later attack that instruction only for plain error. Fed. R. Crim. P. 30(d); Johnson v. United States, 520 U.S. 461, 465-66, 117 S. Ct. 1544, 137 L. Ed. 2d 718 (1997). However, a defendant who waives—rather than forfeits—his objection cannot avail himself of even the demanding plain error standard of review. See United States v. Olano, 507 U.S. 725, 732-33, 113 S. Ct. 1770, 123 L. Ed. 2d 508 (1993) ("Deviation from a legal is 'error' unless the has been waived. "); United States v. DiSantis, 565 F.3d 354, 361 (7th Cir. 2009) ("Waiver 'extinguishes any error' and 'precludes appellate review.'" (citing United States v. Pree, 408 F.3d 855, 872 (7th Cir. 2005)). He has no recourse and generally must live with his earlier decision not to press the error. Such waiver occurs only when a defendant makes a "knowing and intentional decision" to forgo a challenge before the district court. United States v. Jaimes-Jaimes, 406 F.3d 845, 848 (7th Cir. 2005). In contrast, when the "defendant negligently bypasses a valid argument," he has merely forfeited the claim and can raise it on appeal, subject to plain error review. United States v. Vasquez, 673 F.3d 680, 684 (7th Cir. 2012) (citing United States v. Anderson, 604 F.3d 997, 1001 (7th Cir. 2010)). We generally construe waiver "liberally in favor of the defendant." Jaimes-Jaimes, 406 F.3d at 848. Chuck Rettig, a major player in representing taxpayers through the thicket of correcting offshore account noncompliance, has written a very good summary article of the quiet disclosure that is discovered and examined by the IRS. Charles Rettig, IRS FBAR Voluntary Disclosure Program: Taxpayer Interviews (Forbes 6/12/13), here. The problem, he notes, is that "Many taxpayers continue to enter the OVDP. Others have bypassed the OVDP and simply amended returns or begun filing accurate returns on a prospective basis." After discussing, the GAO report (previously blogged here), Chuck says that for persons filing amended returns -- quiet disclosures -- in lieu of joining OVDP:: " It should be anticipated that the IRS will pursue examinations of these amended returns in some manner." When discovered, U.S. taxpayers who have bypassed the OVDP by filing amended or delinquent returns and FBARs should anticipate detailed IRS examinations likely to include interviews of the taxpayer, their return preparer and pehaps others. Numerous taxpayers having previously undisclosed interests in foreign financial accounts have recently been interviewed by representatives of the IRS as well as many having been interviewed by prosecutors associated with the Tax Division of the Department of Justice. Taxpayers continuing to have undisclosed interests in foreign financial accounts must consult competent tax professionals before deciding to participate in the OVDP. Some may decide to risk detection by the IRS and the imposition of substantial penalties, including the civil fraud penalty, numerous foreign information return penalties, and the potential risk of criminal prosecution. If discovered before any voluntary disclosure submission, the results can be devastating. I recommend Chuck's article to those contemplating or having made a quiet disclosure. Of course, the big uncertainty with the quiet disclosures for those taxpayers with material criminal investigation and prosecution risk is that, according to the IRS's rhetoric, quiet disclosures for offshore accounts are not "voluntary disclosures" subject to the voluntary disclosure program to mitigate or eliminate such risk. The message -- or risk -- that the IRS intends to convey is, dammit, join the program or take the risk. Despite the IRS's rhetoric, one has to ask the question whether a taxpayer otherwise have criminal investigation and prosecution risk can eliminate or mitigate the risk with a good quiet disclosure (whatever that is, but I know it when I see or do it)? I think many practitioners think that the taxpayer can do that; that there are good reasons that the IRS and DOJ Tax would make the call at least not to criminally prosecute a good quiet disclosure. Of course, I approach it a different way. If the taxpayer has material criminal investigation and prosecution risk, joining the program is the way to go and the taxpayer should not be doing a quiet disclosure upon the uncertain hope that it will not be discovered and, if discovered, it will mitigate or eliminate the criminal investigation and prosecution risk. Having said that, however, I suspect that, in the final analysis, for good quiet disclosures, the IRS will exercise discretion to conduct just a civil examination. I suspect that the real risk is in the amount of the civil penalties that will be asserted and the number of income tax years that will be put in play. And for those taxpayers will real criminal prosecution risk, there is a major risk of severe penalties and thus should join without quiet disclosure to get better penalties or, if the quiet disclosure was made and not yet discovered by the IRS, join the program. According to reports, Switzerland continues to drag its feet on a solution with the U.S. The reports come fast and furious, although, from my perspective, mostly cumulative information, some incremental information, but no break-throughs. Switzerland has been stymying the process for some time now, so I guess we should not be surprised. I have seen little use posting daily information about the foot-dragging, but every now and then I will, as I do today, just as a reminder, that should it continue, we might expect some action from the U.S. The protection of client information has helped to make Switzerland the world's biggest offshore financial center, with $2 trillion in assets. But that haven has come under fire as other countries have sought to plug budget deficits by clamping down on tax evasion, with authorities probing Swiss banks in Germany and France as well as the United States. The bill would allow banks to hand over information and strike settlement deals with U.S. prosecutors, which one lawmaker called a "choice between the plague and cholera." Such deals would avert the threat of criminal prosecution, but are still expected to include heavy fines that could cost the industry as much as $10 billion. The legislation approved by the upper house would pave the way for Swiss banks to disclose their U.S. dealings, including names of bank staff and third parties such as accountants and tax lawyers who helped Americans to evade taxes. Banks will still not be allowed to hand over client names - protected by the Swiss secrecy law of 1934 - but the proposal, valid for a year only, would allow banks to hand over so much information on customers' behavior that U.S. officials should be able to identify American tax dodgers. The Swiss government has warned that the United States could indict another bank, a move seen as the death knell for virtually any business. Lawmakers were swayed by concern U.S. prosecutors could indict one of the state-backed cantonal banks in their constituency. One of the tough issues practitioners face when a criminal investigation starts is whether to attempt to "correct" the issue ex post facto by filing delinquent original returns (if failure to file is the potential crime being investigated) or amended returns (if evasion or tax perjury are the crimes being investigated). Conceptually, such ex post facto gambits are generally suspect; otherwise, the IRS criminal tax enforcement efforts would be in shambles. And, of course, the filing of such returns ex post facto does prove several elements other than willfulness that the Government must prove to make a case. For example, in the case of failure to file, the filing of delinquent returns will admit that the taxpayer was required to file a return and the income admitted on the returns can be compelling to a jury. Likewise, in the case of evasion or tax perjury, the filing of amended returns showing a tax due -- substantial tax due in virtually all cases that would be criminally prosecuted -- the taxpayer is admitting that element of the crime (either the tax due for evasion or the tax or components leading to tax, such as the omitted income, for tax perjury). Presently pending before the Court is the Government's Motion in Limine to Exclude Irrelevant Evidence (Doc. 51). The Government seeks to preclude Defendant from arguing or introducing documents or testimony related to tax payments he made to the IRS after he became aware of the criminal investigation. (Doc. 51 at 1.) The Government argues that Defendant filed his tax payments for a self-serving purpose after being informed of the criminal investigation, rendering Defendant's late payment of taxes irrelevant to the issue of whether Defendant had the requisite criminal intent to commit the crime. The Government also argues that admission of evidence of the payments is greatly prejudicial as it will confuse the jury and distract from the charged crimes. Defendant asserts that he never received an audit notice for the years in question, was presumably unaware of the criminal investigation until notified, and filed his amended returns and payments in 2009 upon notification, well before the Indictment was returned on March 15, 2012. The Supreme Court just decided Peugh v. United States, 569 U. S. ____ (2013), here, holding that, in sentencing, the Constitution's Ex Post Facto Clause requires use of the latest Guidelines in effect at the time of the commission of the offense if later Guidelines increased the punishment. Some courts and practitioners had thought that Booker had solved that problem. JUSTICE SOTOMAYOR delivered the opinion of the Court, except as to Part III–C, concluding that the Ex Post Facto Clause is violated when a defendant is sentenced under Guidelines promulgated after he committed his criminal acts and the new version provides a higher sentencing range than the version in place at the time of the offense. Pp. 4–13, 15–20. First, Swiss banks must quickly settle with the US. Ideally, the government will find a way to avoid drawing in parliament again, after it refused last week to vote on the government’s bill; and the banks can proceed in line with the framework set by the UBS settlement. After all, equal treatment in equal circumstances is a fundamental Swiss constitutional principle. Second, the government and the banks must quickly recognise that client anonymity for tax purposes is a thing of the past. The specific contours of how information will be exchanged across sovereign borders will have to be worked out. Ideally, this will occur under the auspices of the OECD, a Paris-based think-tank, where Switzerland should demand a robust voice at the table. Third, and crucially, Bern must settle the problem of undeclared legacy assets, largely of European origin, residing in its private banks. A significant share was deposited a long time ago in a different era with different norms. A pragmatic and morally defensible solution is for clients to pay a one-off tax on them to their respective countries of residence. In return, they would be allowed to preserve their anonymity. The level of tax could be broadly linked to the relevant rates in the European countries in question. Finally, Bern must be steadfast in demanding access to the EU market for its banking services, enabling it to refocus the sector on its excellence in cross-border wealth management. This is equally in the interest of the EU: any other outcome will drive significant assets out of Switzerland and probably out of Europe. Joe Thibodeau, received the Jules Ritholz award, here, at the Civil and Criminal Penalties Section Luncheon on May 10, 2013. As noted on the web site, "The Jules Ritholz Memorial Merit Award is given in recognition of outstanding dedication, achievement, and integrity in the field of civil and criminal tax controversies." I attended that luncheon and asked Joe to write up his remarks because, well, I thought they were remarkable. I have just posted excerpted those remarks on the DOJ Tax Division Alumni Blog, here, but do recommend that readers read the complete remarks here. In his remarks, Joe gives a lot of credit to those who have influenced his career and character. They include, of course, Jules Ritholz and the late Jerry Feffer, both major players in the tax crimes arena. Thanks, Joe, for reminding us and others about the best our profession has to offer. a. (15% of total exam grade) What potential crimes could be charged against Chris? You may limit your answer to the Title 26 crimes, financial reporting crimes, and the conspiracy statute identified in our class materials. No explanation of the crime is necessary. Just identify each potentially applicable crime by Code section; state the elements of the crime; and the prescribed punishment for the crime as set forth in the United States Code (without regard to the punishment that would be determined under the sentencing guidelines). Then state which crimes are most likely to be charged. One of the core concepts of our internal revenue law is that the information that IRS gathers from and about taxpayers will not be freely disseminated outside the IRS. IRC Section 6103, here, insures that such information can be viewed and used both within the IRS and outside the IRS only in certain narrow and specific circumstances, and then subject to some controls. Obviously, in tax cases -- civil and criminal -- that reach a court and tax grand jury investigations that reach the grand jury, the tax information can be shared with DOJ Tax CES personnel and then used by them in presenting cases to the court or grand jury. But, what about cases which are not tax cases. Is the information available to the Government prosecutors or attorneys? In United States v. Ajudua, 2013 U.S. Dist. LEXIS 73003 (D NM 2013), here, the Court dealt with that issue and discusses a method by which tax return information may be obtained by prosecutors for use in criminal cases (both at the grand jury and at the criminal trial). The defendant was "indicted and charged with a violation of the following: (i) conspiracy to commit wire fraud in violation of 18 U.S.C. § 1349; (ii) aiding and abetting bank fraud in violation of 18 U.S.C. § 1344; and (iii) aiding and abetting aggravated identity theft in violation of 18 U.S.C. § 1028(A)." The charges related to the defendant's "involvement in a conspiracy to steal the identities of unwitting victims and to use those stolen identities to fraudulently obtain access to bank accounts and lines of credit." The United States filed a sealed motion under Section 6103(i) to obtain the defendant's tax return information "in order to establish that the income and return information provided is inconsistent with a legitimate business." Subsection (i)(1) authorizes federal officers and employees to obtain a court order to obtain returns and return information from the IRS. Subsection (i)(1) authorizes disclosure by the IRS only to federal officers and employees for their limited use in preparation for specified non-tax criminal proceedings, any investigation which may result in such proceeding, or any federal grand jury proceeding pertaining to such a statute. See 26 U.S.C. § 6103(i)(1)(A). Subsection (i)(1) specifically provides that the information shall be disclosed upon the grant of an ex parte order by a federal district court judge or magistrate judge. See 26 U.S.C. § 6103(i)(1)(A). 26 U.S.C. § 6103(i)(4) governs such disclosure beyond those working on an investigation, and relates to the use of returns and return information in judicial or administrative proceedings. Subsection (i)(4) provides that returns and taxpayer return information may be disclosed in a judicial or administrative proceeding if: (i) the court makes certain findings regarding their probative value; or (ii) disclosure is required by court order pursuant to 18 U.S.C. § 3500 or by rule 16 of the Federal Rules of Criminal Procedure. See 26 U.S.C. § 6103(i)(4)(A). Thus, when the records need to be disclosed to people other than those tasked with the investigation, a specific court finding regarding their probative value, or 18 U.S.C. § 3500,2 or rule 16, governs the disclosure. Swiss enablers are -- or at least perceive that they are -- being thrown under the bus by the Swiss banks. See Matthew Allen, Lawyers cry foul over bank data transfer (Swissinfo.ch 6/4/13), here. The article describes the phenomenon sometimes observed in U.S. corporate criminal investigations. The employees and other agents are thrown under the bus by the corporation who has an incentive to serve them up to prosecutors. The corporations and senior management then are protected by an agreement requiring the corporation to pay a huge fine, variously labeled. While Swiss banks are in favour of the deal - at the cost of potentially huge fines - lawyers, tax experts and independent wealth advisors oppose the names of alleged third parties to tax evasion business tied to the banks being handed over to the US authorities. Under the terms of the agreement pitched by the cabinet last week, they would not enjoy the same immunity from US prosecution. The Chamber of Swiss Tax Advisors immediately condemned the political deal, rushed through by the Swiss government last week to assuage growing US impatience, as “unacceptable” and “disproportionate”. The Swiss Association of Asset Managers said its members would be treated like “second-class citizens” compared to bank executives, who will escape penalty, and lower bank employees who will receive at least some legal protection from the Swiss authorities. The only consolation for the Association was that the mass release of bank information would probably not lead directly to a “great wave of lawsuits”. But only because the US authorities already have names from an earlier, more limited, handover of Swiss bank business correspondence and a host of self-declarations prompted by tax amnesties. Von Heeren is confident that most members of the association have steered well clear of business involving untaxed assets. But he added that some rogue trustees that operate in the shadows may have cause to be concerned. The lawyer worked hand-in-hand with a series of Swiss bankers to hide the assets of wealthy US tax dodgers. He set up trusts and sham companies in Liechtenstein, Panama and the British Virgin Islands to conceal the identity of his client, according to the indictment. The court papers also accused the lawyer of using secretive constructs to move assets from banks under US investigation to other Swiss banks that were thought to be safer. The Swiss claim that the wealthy will continue to harbor their money in Swiss financial institutions even after Swiss bank secrecy fades into history. Emma Thomasson, Swiss stability anchors banks in choppy tax waters (Reuters 6/4/13), here. Maybe. Maybe not. But, in my view, the Swiss bankers will have to compete like other global businesses because the competitive advantage Switzerland had was secrecy for those perceiving the need for secrecy (not just tax cheats). With secrecy going away, they have nothing to offer than other stable countries can't offer; hence, even if they can compete, they won't get the Swiss bank secrecy premium.. And, of course, the stability of Switzerland will not make Swiss Bank guided investments in a global economy subject to the instabilities beyond the Swiss borders. "The worn-out cliche has it that the sector was built on banks offering shelter to tax frauds and illicit money. This is a gross distortion," former Deutsche Bank head Josef Ackermann told the Reuters Global Wealth Management Summit in Geneva. Ackermann, now chairman of Zurich Insurance, said the success of the Swiss financial industry was a result of enduring political, economic and social stability, as well as factors such as low taxes and a multi-talented workforce. "That is why the scope and quality of Switzerland's financial sector has been, and continues to be, difficult to replicate abroad," he said. "The unique blend of factors, much more than tax-related motives, have defined the competitive edge of Swiss private wealth management." This is a reminder that 2012 FBARs must be actually filed by June 28. This is because there is no timely-mailinig, timely-filing requirement for FBARs and the 30th faills on a Sunday. This means that, if they are delivered by mail, the mailing should occur perhaps three days earlier -- June 25. 2013. A person who holds a foreign financial account may have a reporting obligation even though the account produces no taxable income. Checking the appropriate block on FBAR-related federal tax return or information return questions (for example, on Schedule B of Form 1040, the "Other Information" section of Form 1041, Schedule B of Form 1065, and Schedule N of Form 1120) and filing the FBAR, satisfies the account holder's reporting obligation. Swiss banks have 120 days to reach U.S. tax deal (WSJ MarketWatch 6/2/13), here. The Swiss cabinet last week said the Alpine country's banks will be allowed to deal directly with the U.S. legal authorities to settle past legal issues over suspected tax evasion by wealthy Americans. Details of the plan, which is expected to be discussed by the Swiss parliament next week, have thus far been withheld at the request of the U.S. justice authorities, it reports. The deal with the U.S., however, will only give Swiss banks trying to settle legacy tax evasion issues 120 days in which to deliver bank data and negotiate fines, the paper reports, without specifying when the 120-day period begins. Susanne Craig, France Puts UBS Under Investigation for Aiding Tax Evasion (NYT 6/2/13), here. A unit of the Swiss bank UBS has been placed under formal investigation in France following allegations that it designed investments to help its clients evade taxes. The move comes more than a year after an inquiry was opened regarding the bank’s operations in France, a UBS executive briefed on the matter said Sunday. A handful of UBS executives have been put under investigation since the inquiry began in 2012. UBS has been dogged for years by regulators who allege that it has helped wealthy individuals dodge taxes, and has successfully settled some of these charges. For instance, the bank agreed to a $780 million fine in 2009 with the U.S. authorities to settle charges that it had helped its American clients to hide funds. But other countries continue to pursue their own cases against UBS. The executive, who was not authorized to speak on the record, said that while the decision was disappointing for the bank, it was not unexpected. These excerpts are cryptic, but, as described, they echo the types of sophisticated shelters in our recent past where the sheltering was done through complex financial arrangements orchestrated by financial services firms and tax professionals. Interesting article on cash-strapped taxing jurisdiction using Google's street map features to find otherwise hidden sources of revenue in their own areas. Marcin Sobcyk, Taxes and Google - Hiding from the Tax Man (6/2/13), here. Some European countries have been going after Google, complaining that the search giant is invading the privacy of their citizens. But tax inspectors here have turned to the prying eyes of Street View for their own purposes. After Google's car-borne cameras were driven through the Vilnius [Lithuania] area last year, the tax men in this small Baltic nation got busy. They have spent months combing through footage looking for unreported taxable wealth. "We were very impressed," said Modestas Kaseliauskas, head of the State Tax Authority. "We realized that we could do more with less and in shorter time." More than 100 people have been identified so far after investigators compared Street View images of about 500 properties with state property registries looking for undeclared construction. Two recent cases netted $130,000 in taxes and penalties after investigators found houses photographed by Google that weren't on official maps. From aerial surveillance to dedicated iPhone apps, cash-strapped governments across Europe are employing increasingly unconventional measures against tax cheats to raise revenue. In some countries, authorities have tried to enlist citizens to help keep watch. Customers in Greece, for instance, are insisting on getting receipts for what they buy. This is only the teaser for a longer article. The phenomenon of cash-strapped taxing jurisdictions will lead to all sorts of creativity in this brave world of high tech and, its component, the internet. It brings to mind the aphorism, variously stated, that you can run but you can't hide (see Wikipedia, here).